Sanitize, clean, and deodorize toilets, tile & grout, baseboards as well as vinyl floors. Use this system to clean your mirrors, glass, vents, bathtubs, and drain openings. Fiberglass shower stalls, aluminum and chrome can all be cleaned without harsh chlorine or ammonia. This vapor system kills germs in places you can’t see, places inaccessible to all but fine vapor, including toilet hinges and toilet seat screws. Cleaning shower door tracks is difficult, but using vapor makes the task simple! The vapor doesn’t cover up bathroom odors, it removes them at their source. The vapor penetrates deep into the pores of even hard surfaces of porcelain and glass. The walls and ceilings of your bathroom may provide a place for mold and mildew to flourish. This proven technology can be safely used to remove these and other potential allergens. 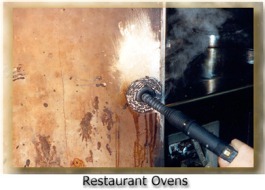 Steam Cleaners with Dry Vapor technology, clean and sanitize food preparation areas, including the range and stovetops, microwave interiors and exteriors, water dispensers, refrigerator interiors and exteriors. Clean and sanitize sinks, faucets and basins. 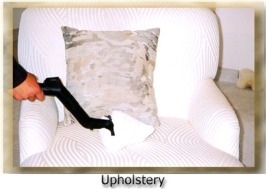 Remove residue from corners and crevices while reducing the source of contamination. The vapor system kills mold and mildew on contact. Cleaning pet areas has never been easier. Even stuck on food and other material are easily dislodged and removed. Bacteria, viruses and germs of all kinds are killed, leaving a cleaner healthier environment for your pet. 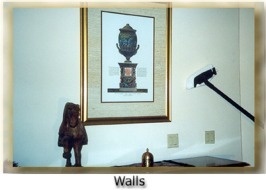 Hard to reach corners and crevices are now easy work for you. Fleas and their eggs and larvae are killed on contact. Feeding stations, food storage containers, and bedding areas can be easily and quickly cleaned. Also, if your pet has an accident on the carpet you can steam the area! Freshen, deodorize and brighten upholstered surfaces, kill germs, dust mites and fleas and their eggs in the mattresses. Sanitize everything in a baby’s nursery without harmful or toxic chemicals and detergents. Reduce germs on toy surfaces, stuffed animals, bedding and otherwise. With a Dry vapor system surfaces dry quickly, in minutes, not hours. Great for ceramic tile floors, tile grout, baseboards, and hardwood and vinyl floors without getting on your hands and knees. 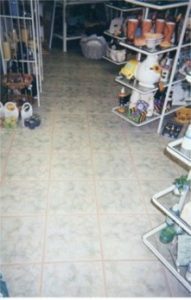 Floors dry quicker and dirt and soils are removed, rather than spread evenly over a surface. Freshen and deodorize carpets, rugs and mats – sanitize spill areas, pet urine in carpets, raise and separate carpet nap – remove musty odors, kill mold and mildew. 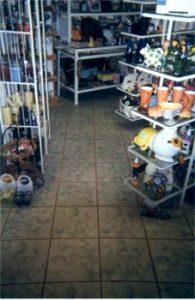 Tile grout stays bright and clear because dirt laden mop water doesn’t settle in the grout lines. No chemical residue is left behind and no caustic chlorine compounds coat the surface where most kids and pets spend a good amount of their time. With a vapor system you can freshen rooms rather than flooding them with artificial odors. 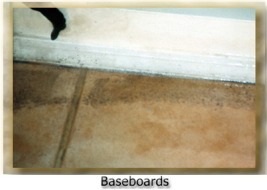 It.s handy to use to sanitize baseboards, corners, crevices and cracks. 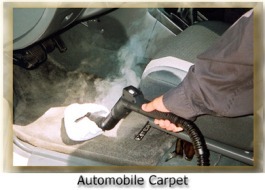 Heat sanitizes carpets without over wetting them so they dry very fast, in less than 15 minutes. Clean windows, window tracks, mirrors, window screens, window frames, balcony doors and tracks & latches AND leveler type blinds! 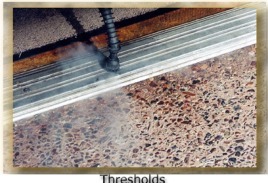 The vapor system leaves no chemical residue, so surfaces stay clean longer. Clean children’s toys and play houses, clean tools, and small equipment, sporting equipment, all without chemicals or solvents. 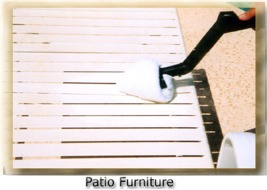 Remove algae from wood or metal surfaces, use in pre-paint prep work. Great on boats and RV’s inside and out. 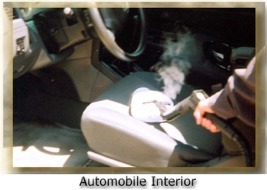 Detail car interiors: upholstery, carpet, headliners, door panels, infant seats and vents – also wheels and engines. The vapor system removes odors of spilled drinks and other smelly material. Convertible tops, floor mats, and carpets. 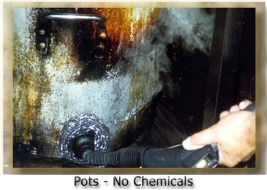 Because the vapor system uses so little water, nothing requires lengthy drying time, without chemical smell left over!! Acid forming brake dust is easily removed from custom wheels.